My college friend Dave Moran invited me a couple of years back to be a judge in the International Wines for Oysters Competition at the historic Old Ebbitt Grill ahead of their incredible (and incredibly fun) annual Oyster Riot in our nation’s capitol. It was also going to be pretty cool to get a view of the Washington D.C. food and beverage scene as many of the other judges were prominent fixtures on that very hot landscape. Not all the judges however were food and beverage professionals; one was just a judge. Well, not just any judge. He happened to be Supreme Court Justice Antonin Scalia. I knew Justice Scalia might be there as Dave told me he had invited him back to judge every year. The Justice was a known wine aficionado but when I asked why he kept inviting him, Dave told me about the letter he received from the Justice after a competition, writing that it was the first time he made a decision as a judge that no one complained about. I do not travel in circles that would have me crossing paths with any of the Supremes so it was exciting for me to have the chance to meet one. No, I was almost never in agreement with Justice Scalia on his stances and decisions (I say almost because I don’t tend to speak in absolutes, but I will mention one point of agreement by the end of this piece). 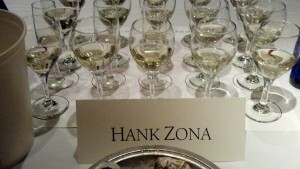 This was a wine event, a D.C. tradition and classic in fact, and I was honored to be an invited guest. I saw my participation in the event as I have seen many events I have been involved in — a chance to learn more about wine and meet some people similarly passionate about it. The judging was arduous (OK, not really) as we all had to rate a batch of wines and how well they paired with oysters, which meant having to taste batches of oysters with the batches of wines. Fortunately, I was well practiced, both professionally and personally. I even covered wine and oyster pairings in one of my tv shows in fact (https://www.youtube.com/watch?v=mlIRBwe8jag) . There was a gathering after the event because 25 wines and at least as many oysters as needed to rate the wines weren’t quite enough. 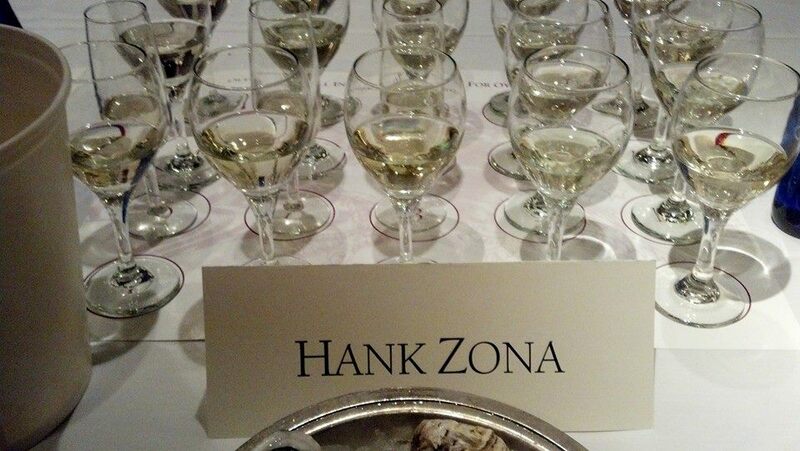 At that point, Justice Scalia came up to me and said, “You seem to know a lot about wine. I don’t know anything about wine other than that I like it, but I do know a lot about judging.” I laughed and said, “You certainly do know a lot about judging. Knowing that you like wine and what you like is the most important thing. 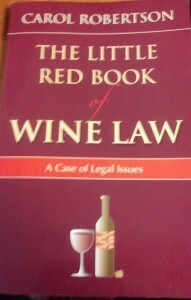 I don’t really know a lot about wine. I am just good at making it sound like I do.” He laughed, heartily, and asked me where I was from. I said like him I had immigrant roots, growing up in one of the boroughs, but now lived in New Jersey in a town called Maplewood, near the Oranges. He told me that many years ago he had dated a woman from South Orange. I smiled to myself knowing the current political tenor in general of my community, thinking that him dating a local woman now wouldn’t be nearly as likely. We talked then about the role of wine in our family’s lives, not an uncommon story, it’s place in the social fabric of family’s new to this country, especially from Italy. Home-made wine seemed omnipresent on his family’s table in his youth as with many others I have known who shared the Italian immigrant storyline. I often speak and write about wine as something personal, social, connective. I love to tell wine stories, be a part of wine stories, because really, they are about more than simply rating what is in the glass. I wrote a blog about a time when Martin Luther King Jr. found himself in a wine shop at the same time as a prominent southern segregationist and former governor, and with the owner and a journalist, share a bottle of wine (http://thegrapesunwrapped.com/wp/?p=345) . If in the early 1960s, Martin Luther King Jr. and a segregationist former governor could share a bottle of wine in a civil manner, then why couldn’t others who had significant differences? Antonin Scalia and his fellow Supreme Court Justice Ruth Bader Ginsberg put aside their polar opposite beliefs to share many bottles of wine it seemed, in not just a civil manner, but in a real friendship. If a Supreme Court Justice I largely disagree with could be close friends with a Supreme Court Justice I largely agree with, why then should I not just try to at least be civil with someone I disagree with? Try to find some firm common ground rather than assume the footing underneath us all is cracked and shaky? It’s at least worth a shot, or really, a glass or two of wine. Back to that night. 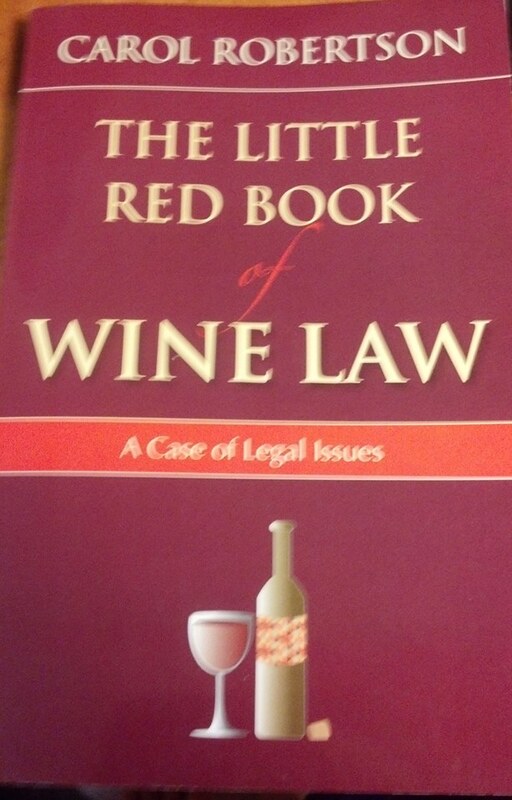 Shortly before my trip to D.C., another friend, Billy Fishkin, had given me a book on famous wine-related court cases, ‘The Little Red Book of Wine Law’. I brought it along for the Acela ride and remembered I had it in my bag. As the night was ending, I approached Justice Scalia and asked if he would autograph the book. He looked at it carefully and his first question, chuckling, was “Am I in it?” I said that I hadn’t gotten that far yet. He said he could only think of one thing to write, and it was a written “decision” I have to say I and most of you could agree with: “In Vino Veritas”.